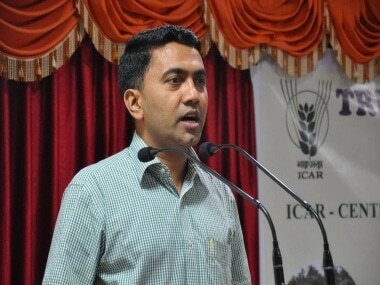 A Goa minister buys two lakh square metres of land in a village and starts threatening neighbours to part with theirs. He wants to mine ore. An MLA starts digging his own agricultural land for ore. Before he is slapped a fine for illegal mining, he has already dispatched over Rs 4 crore worth of ore - and he is fined Rs 1.72 crore. Several mining leases have expired, but digging continues unabated even as Chief Minister Digambar Kamat sits on the files. How is Kamat complicit in the various illegal mining scams in his state? Are these sins of omission or commission? And what is the scale of these scams? A conservative estimate made by Firstpost on the basis of official production and export data and environmental clearances put the figure at Rs 800 crore. Former Chief Minister Manohar Parrikar alleges that 20 percent of the mining in the state is illegal and the money involved is no less than Rs 4,000 crore. But the man at the centre of it all is Digambar Kamat, who has been mines minister for 12 years running. According to insiders, he has been actively aiding companies that are in contravention of the law through various means. Kamat has done this by two means: by reviving mining leases that failed to apply for renewals in time after a new law came into being in 1987. And two, by creating a new class of mining "contractors" who are not the actual mine operators (and hence not amenable to action under the Act). The law Kamat has helped undermine is the Goa, Daman and Diu Mining Concessions (Abolition and Declaration as Mining Leases) Act, 1987, which ended the previous Title Concessions (TCs) given to miners when Goa was a Portuguese colony. Under the 1987 Act, all the title Concessionaires (Sesa, Dempo, Salgaocar, Chowgule, Timblo, et al) were expected to apply for leases within a year, failing which their leases would lapse and be time-barred. However, Firstpost has learnt that Kamat personally entertained applications for renewals of leases filed as late as 1996 and 2000. Ten applications for renewal were filed in 1996 and two applications in 2000. Kamat condoned delays in two cases and has kept the remaining eight applications "under process." This means his administration is considering condoning the remaining cases, too. In one 'condoned' case, Kamat handed over three mines of the late Zoiram Neogui to a Congress man, Dinar P Kamat Tarcar. Tarcar runs these mines through his company Minescape Earth Movers Pvt Ltd. In the second condoned case, operator Magnum Minerals is extracting iron ore from Maina mines, whose application for the renewal of lease was filed in 2000 on behalf of the late owner Voicunta Canecar (Kadnekar). Interestingly, Zoiram Neogui's application was filed in 1996, but Dinar Tarcar appeared as attorney for all the legal heirs of Zoiram and argued that the delay be condoned in 2005, when the China market was hot. Kamat condoned the delay on two grounds. First, the delay was because of a family crisis due to the death of Zoiram. 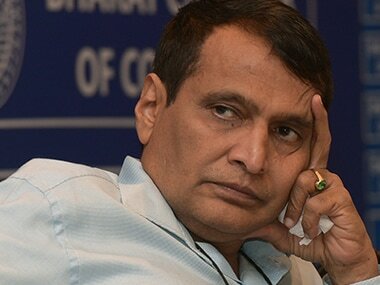 And second, the government of Goa was taking a liberal approach to condoning delays. 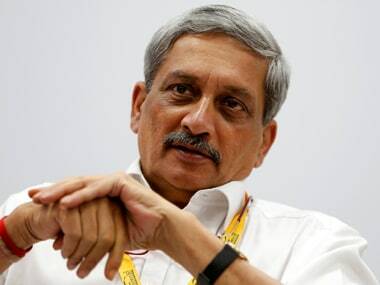 Listen to former Goa CM, Manohar Parrikar respond to opposition allegations on mining activities in Goa. Dinar Tarcar, who had lost the last Assembly election on a Congress ticket, does not designate himself as a mine operator. He is the "contractor" for four mines. Kamat has originated a tribe of "contractors", many of whom are not registered and have no locus standi under the law. In this new class of "contractor" miners, Kamat's Urban Development Minister Joaquim Alemao tops the list. He is a self-styled contractor and calls himself Managing Director of Raisa Mining Services (named after his daughter). And his office address is 1/B, First Floor, Commerce House, Luis de Miranda Road, Margao, Goa, 403601. He has several mines on contract in South Goa. With his eyes on mining, Joaquim Alemao boughttwo lakh sq metres of land in village Maina in South Goa. His land borders a farmhouse owned by a villager, Cheryl D'Souza, 43. Cheryl says Alemao is forcing her to sell her land for Rs 40 crore! "The iron ore here is of high grade and he wants to do mining here, but I have resisted selling my land to him so far,'' Cheryl says. Her husband, Tony Sanfrancisco, was electrocuted in an accident in 2006. 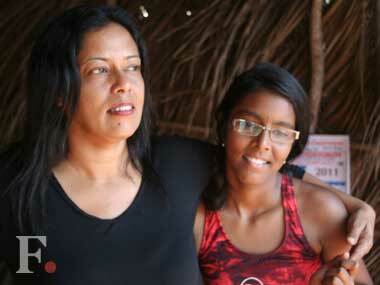 She, her 85-year-old mother Dora, and her 11-year-old daughter Aki live in the farmhouse with four women servants. She cremated her husband in the farmhouse itself to deter Alemao from forcible acquisition of her land. "There is not a young couple who can survive like us. Everybody is forced to sell the land. I am so disillusioned with the whole lot of them now. I see no hope,'' says Cheryl. Joaquim Alemao's defence: "I am a contractor. I am not a miner." Another Congressman, who allegedly abets illegal mining in his constituency, is Vishwajit Rane. During the September 2010 by-election for the Valpoi constituency in Sattari taluka, the BJP singled out Rane for illegal mining activity. The story of greed doesn't end here. In 2008, a team of experts led by Mines Director Arvind Loliyakar went to Corgao, North Goa, for an inspection. They discovered that a Congress ally and close aide of Kamat, Nationalist Congress Party MLA Jitendra Deshprabhu, had begun digging up his own agricultural field in the hope of extracting iron ore. Instead of booking him under illegal mining, Loliyakar made a request to Digambar Kamat to issue him a show-cause notice. But for three years, Deshprabhu was allowed to continue with the illegal mining. 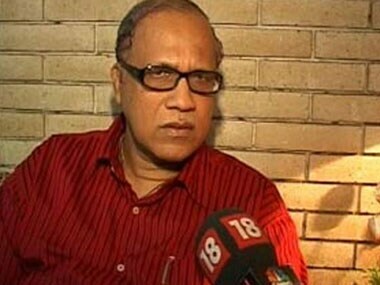 In January 2011, media protests forced the Kamat government to slap him with a fine of Rs 1.72 crore. But by then Deshprabhu had already mined and sold about 52,360 metric ton of iron ore worth Rs 4.18 crore. Under the law the fine is 10 times the illegal benefit - it should have been closer to Rs 50 crore. Early last month, a local Goa court ordered the registration of an FIR against Deshprabhu for illegal mining and Arvind Loliyakar and other government officials for abetting his illegal mining. Deshprabhu's bail was rejected and he was later arrested. Digambar Kamat, however, soldiers on - and appears to be friendly with many miners. In April 2005, when he defected to the Congress, the Timblos, a prominent iron-ore mining family of Goa, took him in their car to meet Margret Alva at Taj Exotica. The picture of him sitting with one of the Timblos in their car was splashed all over the media. The Timblos have taken to contracting. According to documents available, Timblo Minerals Private Ltd is contractor at five mines and Timblo Minerals (P) Ltd is working as contractor on one mine. Not only this. Kamat even handed over "enemy property" to the Timblos for mining. Badrudin Mavani, who owned a Title Concession (No 14) under the Portuguese, had moved to Pakistan after partition. Mavani's mining lease was not given to anyone till 2004, when Kamat's Directorate of Mines contended that the Timblo family had entire possession and control of the Mavani mining lease since 1957. It was also contended that there was no documentary evidence proving that Badrudin Mavani had lost Indian citizenship when he moved to Pakistan. In the absence of Mavani, Kamat put his signature to handing over the Mavani lease to the Timblos for mining. To protect himself, Kamat took an "indemnity bond" from the Timblos in case Mavani or his heirs suddenly reappeared on the scene. 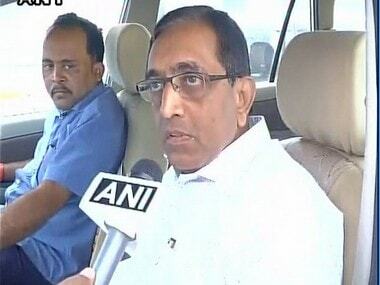 "It seems it (the mine) was transferred to Timblos long back," Kamat claims. Ever since the China market for ore boomed, the Goa mining industry is run as much by contractors as genuine mine lessees. Among them: Magnum Minerals, Imran Traders, Hardesh Ores Ltd, Infrastructure Logistics (P) Ltd, and so on. Sources say an investigation will bring out the actual nexus between Kamat and these contractors. In Goa's Wild West kind of dubious mine ownership, illegal operations have become easy. At most mines, details about the name, the lease details, and survey numbers are missing from the site. These open cast mines exist right in the forest area - almost unseen, except by the locals employed there. The contractors who operate them are neither registered with Goa's Directorate of Mines, nor are they recognised under the Mines and Minerals Regulation and Development (MMRD) Act as lessees. In short, iron ore is often mined by people who have no claims to the ore.
Kamat ran a blind eye to mining operations that have yet to get their licences renewed. According to official records, renewal applications of at least 13 active mining leases have been pending since 1988. This means for 26 years, the Goa government has allowed miners to extract iron ore from these illegally. Only fresh investigations can reveal the motive behind keeping these renewals pending for 26 years. Even the mines which were cleared in 1988 had a licence validity of 20 years. But when these lessees applied for renewals in 2008, the files were kept "under process". By doing nothing, these leases have been made legal till the government acts on them. What kept his government sitting on these lease requests for 26 years? Kamat had no answers. • Thirty-two active mining leases have no forest clearance from the Union Ministry of Environment and Forests. Prominent among them are VD Chowgule (five mines), VM Salgaocar (one mine), Soc Timblo Irmaos Ltd (four mines), Sesa Resources Ltd (one mine), Kund Kharse (three mines, which are operated by Timblos and Salgaocar as contractors) and Cavrem and Curpem Mines (owned by Shaikh Mohd Issac and Aziz SA Gofur). • Eighteen active mining leases have not taken wildlife clearances under the EC. These include Sesa Mining Corp Ltd (Vedanta), VM Salgaocar & Bro. Pvt Ltd and MS Chowgule. • At least 34 active mines have no air and water clearance. Surprisingly, the lawyers who defend the mineowners in court are also on panels set up by the Kamat government. The Goa Pollution Control Board sought the legal opinion of a senior high court advocate Atmaram NS Nadkarni, who has represented mineowners several times in the past. The board wanted to know if it could give air and water clearance to mines which had no forest and wildlife clearances. Nadkarni recommended that the board can give consent under the Water and Air Act. At the same time it could ask these mines to suspend operations till they obtained mandatory forest and wildlife clearances! "Goa is not only a story of its grand beaches. 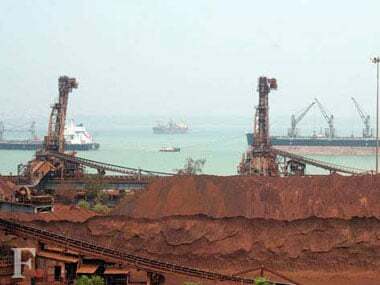 Goa has also been cursed with deposits of iron ores. Mine, mine and mine! This is Goa's latest mantra of greed,'' says Dr Claude Alvares, whose Goa Foundation is fighting illegal mining. Calling Kamat the Yeddyurappa of Goa, Parrikar says: "If Yeddyurappa got half sunk during three years of his stint, you can imagine how deep Kamat must be into mines during his 12 years as Minister of Mines." Kamat was mines minister in Parrikar's BJP ministry, but he defected to the Congress when the BJP lost power in 2005. Parrikar argues that Kamat would not have gone that far if the state had had a Lokpal. "The state Assembly cleared the Lokpal Bill in January 2007 and Kamat is still sitting over it,'' says Parrikar. Kamat says he had sent the Lokpal Bill to the Centre for approval three times. "Two times, the Centre sent it back with some modifications. But the third time the Centre asked us to withdraw the Bill and introduce a new Lokpal Bill with different features. So I intend to introduce the new bill this session," says Kamat. Meanwhile, the scam will continue.